The Builder’s Association of Central Pennsylvania created the The Home & Garden Show to showcase local builders, developers and remodelers, as well as other trades that would be associated with the building industry. This a fantastic way to help the public comfortably meet professionals and see demonstrations without feeling pressure to buy anything.This year marked the 30th anniversary of this event. And it wasn’t your typical “Builders Show”. This was the first year called the Home & Garden Show since there’s much more to home improvements than just builders. This event was held in State College, PA at Penn State’s Bryce Jordan Center Friday, Saturday and Sunday March 14th-16th. And if you weren’t able to make it out to the show, we took the time to interview a few of the exhibitors for you. See this 3 day event in just 6 minutes. The Centre Parklet New this year was a well thought out Centre Parklet. It was an amazing feature that many people could enjoy walking about, sitting and relaxing all while enjoying a little music brought to youby a local artist. And each section of the Centre Park was finely crafted by a local member of the Builders Association. Did you enjoy that? Let us know in the comments. Lifestyle Screen Door for your garage door I learned that Central PA Dock and Door, LLC has a new product called a Lifestyle Screen Door that is a screen door for your garage door. If you like to work in your garage and keep the door open, this lets in fresh air, but keeps the bugs out! Be sure to see it in action in our video. $250 Rebate I learned that Envinity does energy audits for your home. And not only that, I learned how to get you a rebate from your electric company when you hire Envinity to do an energy audit. Blueprints and Trade Show Displays I learned that Jaru does more that just blueprints for builders. They can make trade show displays, signs, banners, and all sorts of copy needs. Meet Brian Allen from Fulton Bank Brian can do all kinds of mortgages from Construction loans to Conventional, VA and FHA loans to Portfolio loans. And he is willing to work beyond “bankers hours”. So he could be available to speak with you around your schedule if you need to talk before 9:00 am or even after 5:00 pm. Meet Lorna Arocena, State College Architect I reconnected with familar faces like local architect, Lorna Arocena. Meet Lorna on video. She does all kind of residential design from new construction to additions and remodels. We love her style! Meet “The Good Guys” The Good Guys at Goodco Mechanical are your superhero’s of heating and cooling systems. Whether it’s maintaining your current system or installing a new one, Goodco Mechanical can take care of all your heating and cooling needs. I learned all about fire extinguishers from Mr. Swartz Swartz Fire & Safety, Inc.can help protect your home with fire extinguishers and fire safety products. Creating 5 Star Experiences I learned that I can fully count on my team. As a real estate team representing Keller Williams Realty, this was our first year having our own booth at the show. We enjoyed meeting many new people as well as reconnecting with old familiar faces. My team stepped up to the plate and fully embraced my desicion. And they delivered! They wow’d me and wow’d the public. I feel so happy with my amazing team! Thank you Ali, Jonathan and Taylor for creating 5 Star Experiences. And what a surprise our booth won Best Professional Service award. I couldn’t be happier! 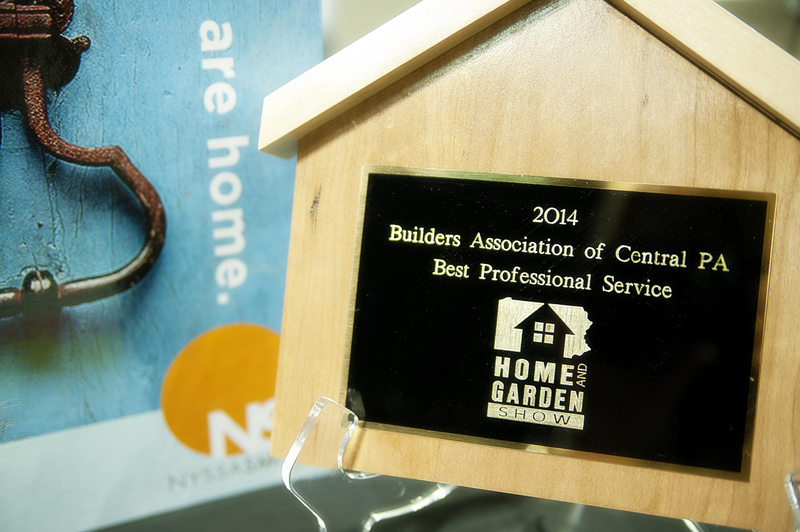 Those were my top 10 things I learned from the 2014 Home and Garden Show at the Bryce Jordan Center. However, there was so much more to see and do. So please share in the comments below what you learned at the show. We’d love to hear from you.